A lot of accountants think ‘sales’ is a dirty word. But the truth is that every modern accounting practice needs a strategy to convert prospects into ongoing clients. 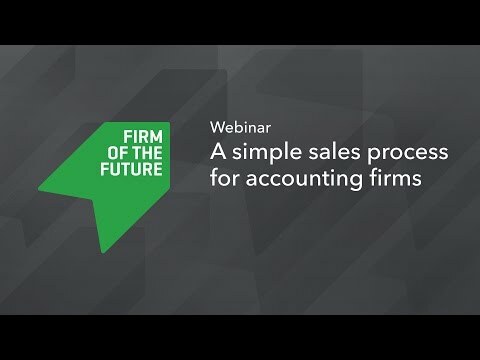 In this session, Ian will show you how you can set up a simple sales process from scratch, explain how you can qualify what prospects are a good fit for your firm, the steps you should take to turn them into paying clients, and how you can manage and automate this entire process.